Lawrence Robert Bowa (born December 6, 1945) is a former professional baseball shortstop, former manager, and coach in Major League Baseball. He played for the Philadelphia Phillies, Chicago Cubs and New York Mets; managed the San Diego Padres and Phillies, and is currently the Phillies' bench coach. Bowa was born in Sacramento, California, the son of Paul Bowa, a former minor-league infielder and manager in the St. Louis Cardinals farm system. While at C. K. McClatchy High School, Bowa tried out but never made the school's baseball team. After graduation, Bowa went to Sacramento City College where he started, and was expected to go in the MLB Draft, but didn't. The Philadelphia Phillies were the only Major League team interested in Bowa. They sent a local scout, Eddie Bockman to watch Bowa play in a doubleheader, only for Bowa to be thrown out of the game for arguing. Bockman had a winter league team in the area and offered Bowa a chance to play. Bowa played well and signed with the Phillies for a $2,000 bonus. Characterized by his "soft" hands, strong arm, and fiery personality, he won two Gold Glove Awards and led the National League in fielding percentage six times, then a league record. He retired with the NL record for career games at shortstop (2222) and the Major League records for fielding average in a career (.980) and a single season (.991, in 1979), and was also among the career leaders in assists (sixth, 6857) and double plays (fourth, 1265); his records have since been broken, though he retains the NL mark for career fielding average. Apart from his fielding achievements, he was a switch-hitter, batting .280 or better four times (.305 in 1975); he also had nine seasons with 20 or more stolen bases. From his 1970 rookie season through 1981, Bowa provided solid reliability in the Phillies' infield, along with third baseman Mike Schmidt; from 1976 to 1981, the Phillies reached the postseason five times, ending a drought dating back a quarter of a century. Bowa batted .333 in a losing cause in the 1978 NLCS, but played an even greater role in 1980, hitting .316 in the NLCS and .375 in the World Series as the Phillies captured the first title in franchise history. In 1979, Bowa set a Major League record for shortstops with a .991 fielding average; Tony Fernández broke the record with a .992 mark in 1989, and Rey Ordóñez broke the NL record with a .994 average in 1999. He tied Ozzie Smith for the most post-1930 seasons with at least 400 at-bats and no home runs, with six. By the end of the 1981 season, Bowa had worn out his welcome with the Phillies' front office, and let it be known he was available. The Chicago Cubs, who had just hired former Phillies manager Dallas Green as general manager, quickly expressed interest. However, Green, who had managed the 1980 world champions, knew that Bowa didn't have many years left, and demanded a young rookie third baseman named Ryne Sandberg as a part of the trade. In return, the Phillies received shortstop Iván DeJesús. The trade paid off tremendously for the Cubs, as Bowa's veteran leadership and Sandberg's outstanding all-around play (en route to a Hall of Fame career) brought the Cubs to the postseason in 1984 for the first time in 39 years. At the beginning of the 1985 season, Bowa lost the Cubs' starting shortstop job to Shawon Dunston, which left the 39-year-old Bowa discontented with the Cubs' organization; after becoming the San Diego Padres' manager in 1987, Bowa vented his frustrations with the Cubs in an autobiography, titled "Bleep!" After being released by the Cubs in August 1985, Bowa played the last month of the season with the New York Mets before retiring. He was a .260 career hitter with 15 home runs, 525 RBI, 2191 hits, 987 runs, 262 doubles, 99 triples, and 318 stolen bases in 2247 games. His NL records for career games at shortstop and most years leading the league in fielding were later broken by Ozzie Smith; his Major League record for career fielding average has been broken by Omar Vizquel. After retiring, Bowa was named manager of the Las Vegas Stars, the Triple-A affiliate of the San Diego Padres, for the 1986 season. In Bowa's only season at the helm, the Stars went 80-62 en route to the Pacific Coast League championship. Bowa was hired to manage the Padres on October 28, 1986, a little over a year after playing in his final MLB game. His aggressive and often angry style were ineffective in San Diego, and he was fired on May 28, 1988 with an overall record of 81-127 as the club's skipper. Bowa returned to the Phillies as the team's third base coach on August 11, 1988 and remained there through the 1996 season. In 1993, he and John Vukovich became the first two Phillies in franchise history to go to the World Series with the club as both a player and coach (Vukovich was Bowa's teammate on the 1980 World Champions and was the bench coach for the '93 National League champs. Milt Thompson, an outfielder for the 1993 club, would become the third member of this group when he served as hitting coach for the 2008 World Champions and 2009 National League Champions). When Jim Fregosi was fired as Phillies manager following the 1996 season, Bowa was one of the candidates to interview for the vacant position, which ultimately went to Terry Francona. Bowa then joined the Anaheim Angels as their third base coach, where he served from 1997 to 1999 before spending the 2000 season in the same capacity with the Seattle Mariners. After being passed over for the job four years earlier, Bowa was named manager of the Phillies on November 1, 2000. Taking over a team that had gone 65-97 in 2000, Bowa led the club to a surprising 86-76 mark in 2001, two games behind the National League East Champion Atlanta Braves. Bowa was honored as National League Manager of the Year and also received the Sporting News NL Manager of the Year Award that year. In addition, he was voted the Baseball Prospectus Internet Baseball Awards NL Manager of the Year in '01. Despite a promising first season at the helm, Bowa's Phillies could never quite build off the 2001 club's surprising success. A disappointing 80-81 campaign in 2002 would be the franchise's last losing season until 2013. 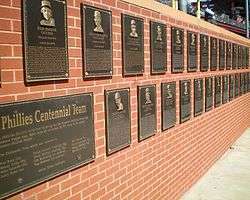 The 2003 and 2004 seasons saw the Phillies finish with similar records of 86-76. Though respectable, much more was expected from the club in those latter two campaigns and Bowa was fired with two games remaining in the '04 season after failing to reach the postseason or finish within 10 games of first place in his last three years. Bowa's managerial record with the Phillies was 337-308. Bowa spent the 2005 season as an analyst for ESPN's Baseball Tonight and co-hosted a baseball talk show on XM Radio. After a one-year absence, Bowa returned to the field as third base coach for the New York Yankees in 2006, a position he held for two seasons. 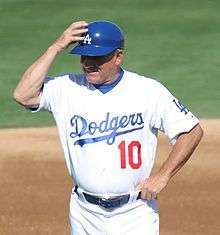 On November 5, 2007, the Los Angeles Dodgers hired Bowa to be the team's third base coach, following the hire of new manager Joe Torre, under whom Bowa had served with the Yankees. Torre became the seventh manager to have Bowa on his staff as third base coach, following Lee Elia, John Vukovich, Nick Leyva, Jim Fregosi, Terry Collins, and Lou Piniella. The Dodgers won consecutive National League West titles in 2008 and 2009, but in both seasons were eliminated in five games in the NLCS by the Phillies, managed by Bowa's permanent successor in Philadelphia, Charlie Manuel. The conclusion of Bowa's tenure with the Dodgers coincided with Torre's retirement at the end of the 2010 season. After leaving the Dodgers, Bowa was a studio analyst for the MLB Network from 2011–13, regularly appearing on the network's daily studio show "MLB Tonight." He also hosted a weekly show during the baseball season with Chris Russo on Sirius XM while occasionally providing postgame analysis for Phillies games on WPHL. Bowa reunited with Joe Torre and served as his bench coach for the USA team in the 2013 World Baseball Classic. He returned to Major League Baseball and the Phillies by joining Ryne Sandberg's staff as bench coach for the 2014 season. Bowa remained with the Phillies as bench coach under Pete Mackanin, who took over after Sandberg resigned during the 2015 season. ↑ James, Bill. The New Bill James Historical Baseball Abstract. Free Press. pp. 619–620. ISBN 0-684-80697-5. ↑ Lewis, Allen. "The Ballplayers – Larry Bowa". BaseballLibrary.com. Retrieved 2009-01-29. 1 2 "Larry Bowa". Baseball Reference. Sports Reference. Retrieved September 18, 2015.